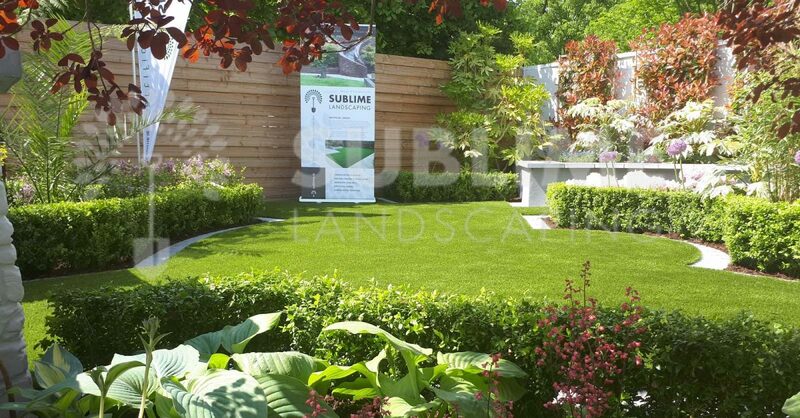 Sublime Landscaping were awarded a design medal this year at the Mallow Home & Garden Festival Cork 2018. Our Garden comprised of Ebony limestone paving, complimented with a lush variety of planting to include, box hedging, aliums, fatsia japonica’s, lilacs, and many more interesting varieties, all surrounding our ever increasingly popular Artificial Grass. Great efforts as always by the hard working crew of the Sublime Landscaping Team.